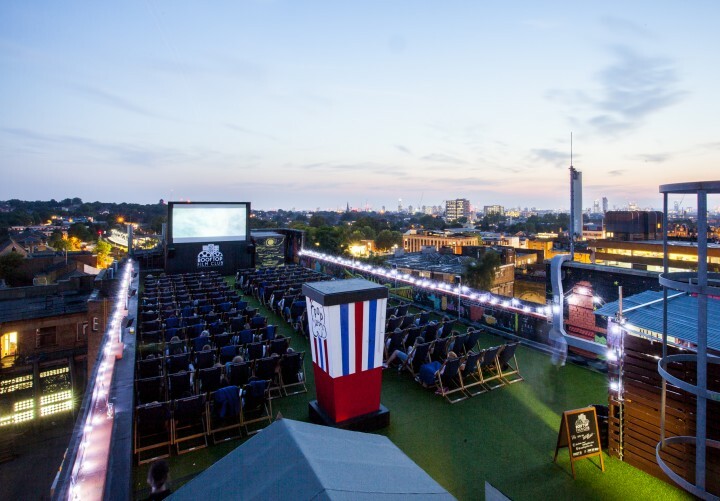 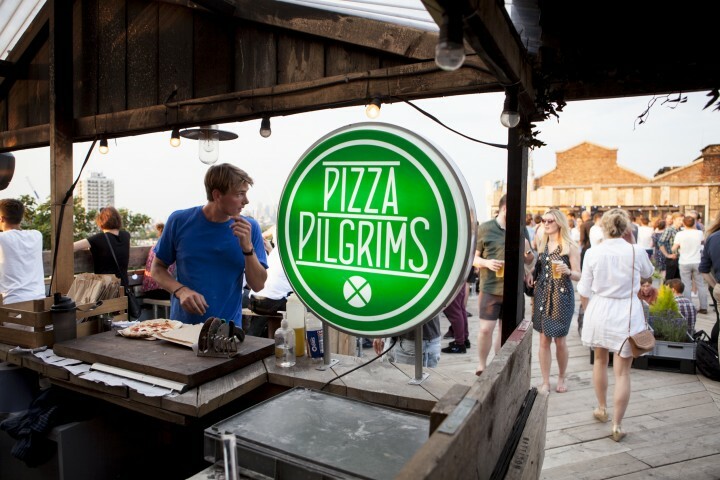 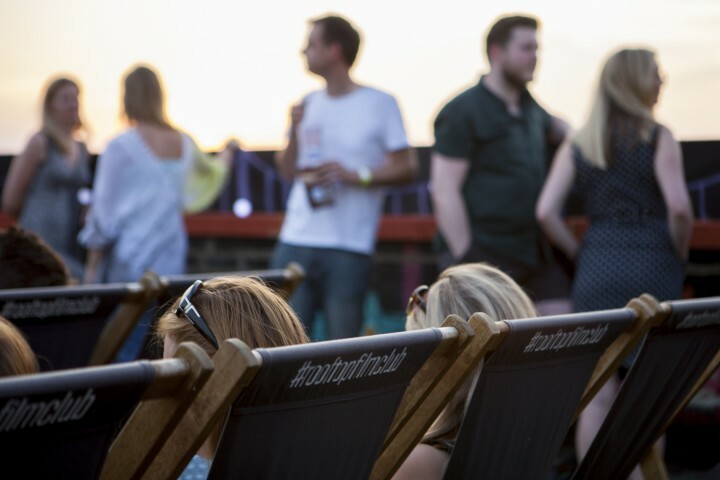 ﻿ Experience Cinema / Bussey Rooftop Bar | not tom. 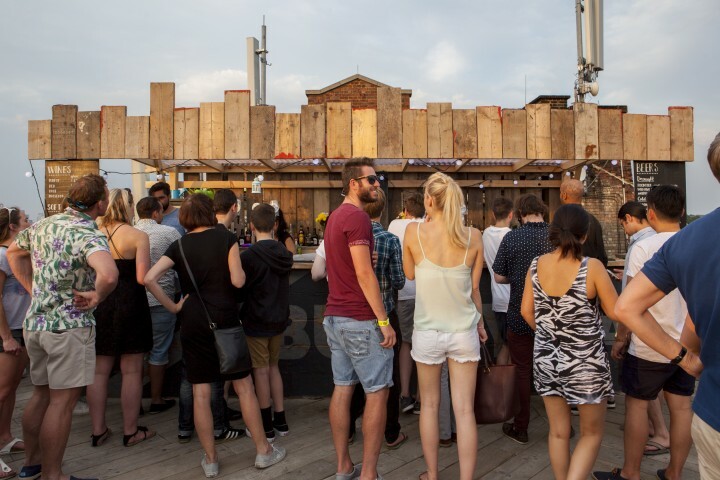 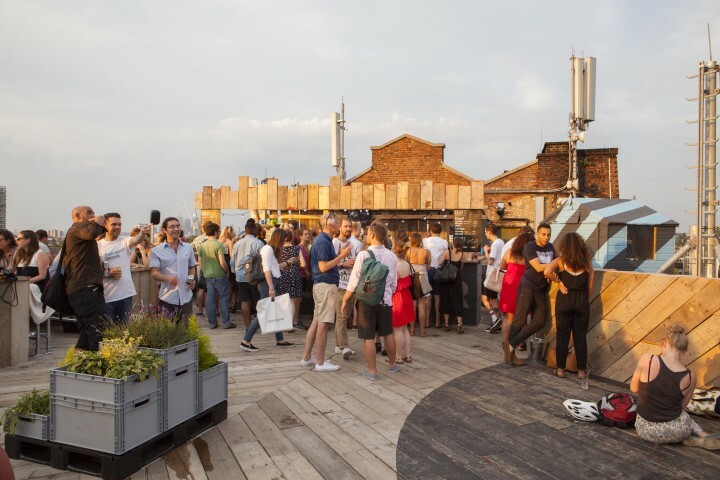 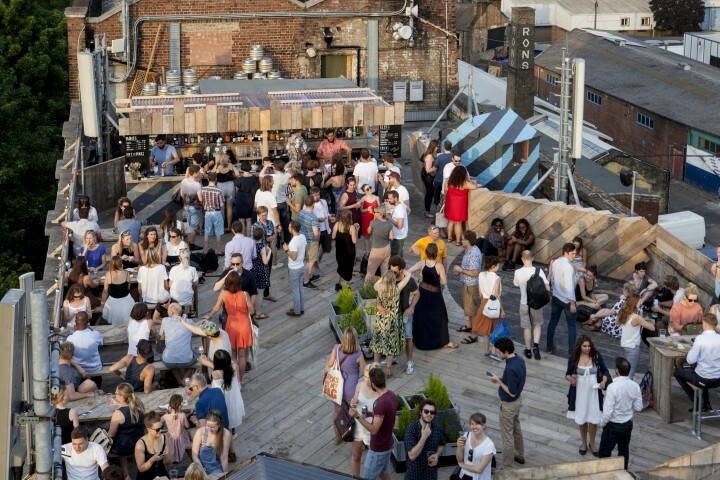 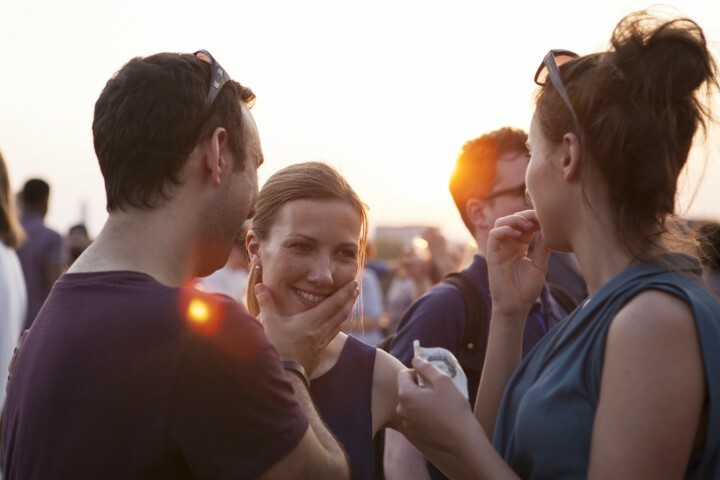 During the Summer the Bussey building comes into its own when the roof becomes an open air cinema, and a bar. 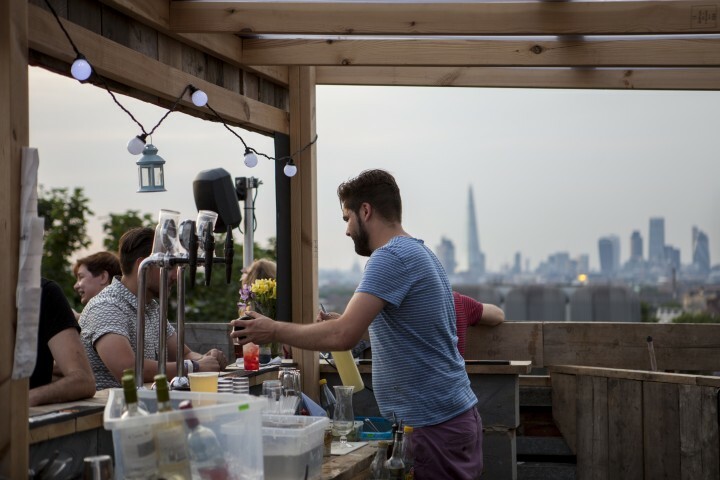 When the Rooftop Film Club approached us to redesign the bar area, we were excited about making the most of this fantastic space. 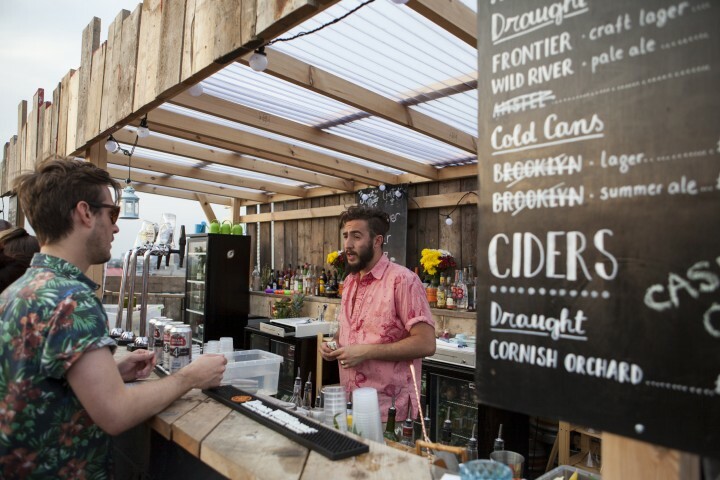 We designed and built a bar area with seating, food hut, bar and sound booth all from reclaimed timber, creating a distinct striped look full of personality and home to great evenings!